DAN McCRARY is a partner at Balch & Bingham LLP, where he serves as Chair of the Energy Practice Group. Over the course of his career, he has represented energy companies in a wide variety of regulatory, transactional and litigated matters. These include numerous proceedings before the FERC involving rate filings, complaints, market-based rate authority (including triennial screens and Delivered Price Test analyses), energy auctions, affiliate transactions, transmission tariffs, fuel buyouts, jurisdictional transfers, self-reports, audits and rulemakings. Mr. McCrary has comparable experience in the retail arena, having been directly responsible for many proceedings before the Alabama Public Service Commission. 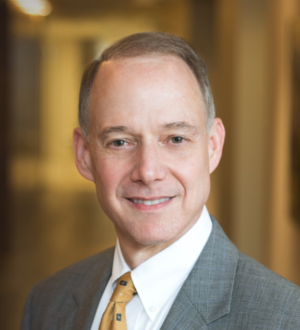 Along with his involvement in regulatory proceedings, Mr. McCrary has assisted energy clients in the negotiation and development of various contractual arrangements, including wholesale power transactions, retail electric supply contracts, power pooling agreements, coal supply contracts, and transmission agreements. He also provides ongoing advice and counsel for corporate clients concerning an array of energy-related topics. As an outgrowth of the activities outlined above, Mr. McCrary has successfully handled a number of appellate proceedings (federal and state) associated with regulatory orders. He has also been involved in civil litigation and arbitration involving contract disputes, personal injury, bankruptcy and other issues pertaining to energy companies.